It’s a question we always get from our friends and followers, but it’s also one that is very easy to answer. 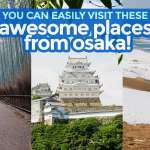 Osaka isn’t just a destination on its own, it is also a gateway to other cities and prefectures! Osaka is the largest city in the Kansai Region. 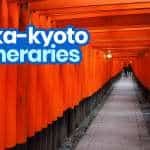 It is also located at the very heart of it, making it an ideal jump off base for travelers who wish to see many other spots on this side of Japan. 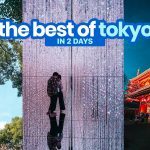 Most importantly, with the exception of Tokyo, it is also the most well-connected city, boasting an intricate network of railways and bus routes that stem to even some of the most remote corners of the region. 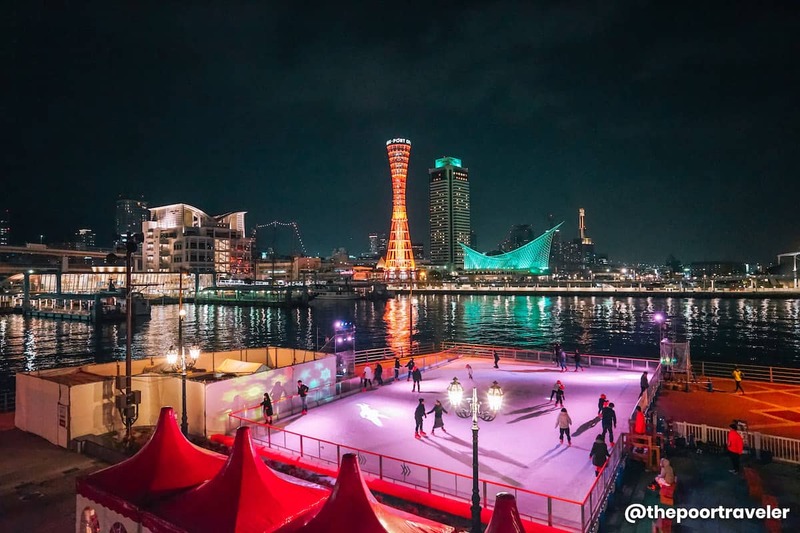 One of the destinations you can easily visit from Osaka is Kobe. The capital of Hyogo Prefecture, Kobe is the sixth largest city in Japan and has always been one of the most important port cities in the country. 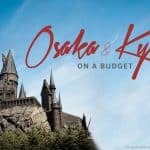 In this post, we’ll explore Kobe and discover the things that you can enjoy in a day with information on how to get there if you’re staying in Osaka. Transportation companies in Kansai are very competitive, especially in enticing foreign tourists to use their service. You’ll be surprised how many transportation passes are available out there! Just looking at the number of train passes alone can induce choice paralysis. But don’t worry, we already identified the passes you will need for this trip: Hanshin Tourist Pass and Rokkosan Tourist Pass. 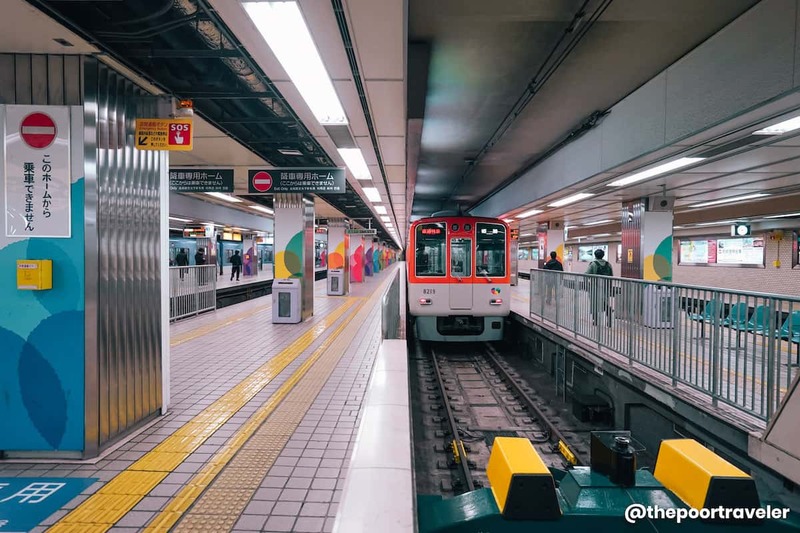 The Hanshin Tourist Pass will give you unlimited access to the Hanshin Main Line, which connects Osaka and Kobe, and all other Hanshin and Kobe Kosoku lines. The card is valid for one day. It is operated by Hanshin Electric Railway Co., Ltd., commonly referred to as simply Hanshin. The pass normally costs ¥700. But is an ongoing promo and you can avail of it for only ¥500. Imagine: unlimited access for only ¥500! Using it is very simple too. All you need to do is insert the card into the designated slot. No need to fall in line over and over again. This means that you get to save both time and money. Don’t forget to pick it up on the other side! ✅ GET THIS PASS HERE! One of the major attractions in this itinerary is Mt. Rokko. 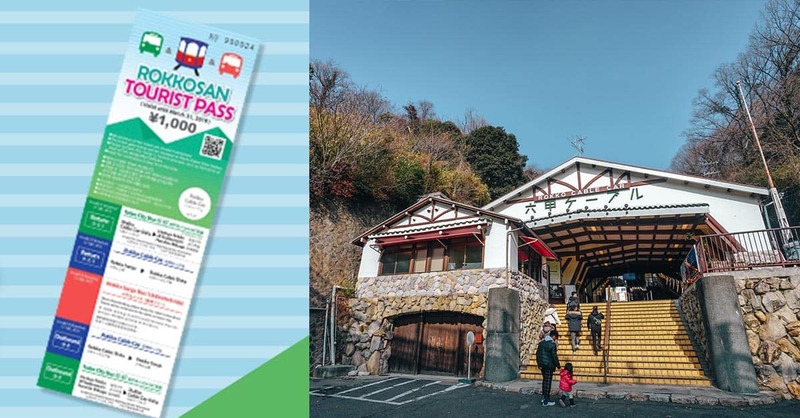 It takes multiple transfers to get there so having the Rokkosan Tourist Pass can give you more savings and convenience. This pass isn’t unlimited but it covers the entire journey from select train stations in Kobe to Mt. Rokko Mountaintop Tourism Area and back. The pass has five tickets attached to it. Each time you’re disembarking, you must tear the ticket off and hand it to the driver. The pass costs ¥1000. You can also book online via Klook! If you’re staying in Umeda area, start your trip at the Hanshin-Umeda Station (HS 01), the start point and terminus of Hanshin Main Line. This is an underground station next to Hanshin Department Store. There is an information center at the station, so if you have questions, you can just ask away. There are also a lot of free brochures available to aid you with your navigation or give you recommendation. From here, your first stop is Uozaki Station (HS 23) in Kobe. Fare: FREE with pass. ¥280 without the pass. Welcome to Kobe’s Nada District, one of the largest producers of sake in Japan! Sake is often called Japanese rice wine. But in Japan, the term used is nihonshu because sake in the vernacular refers to any type of alcoholic drink. Sake is a curious drink. It’s called rice wine but it looks like a distilled drink and the process of creating it is closer to beer brewing. However, the complex flavor profiles, alcohol content, and how people usually appreciate it are very wine-like. 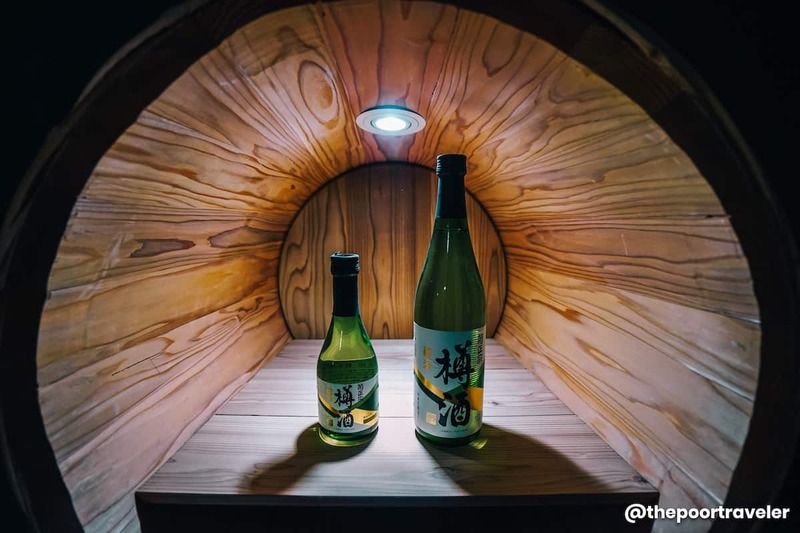 Kobe’s Nada District is home to several sake breweries because it has all the elements that are needed to create top-quality sake: plenty supply of rice, clean freshwater, and the right weather conditions. 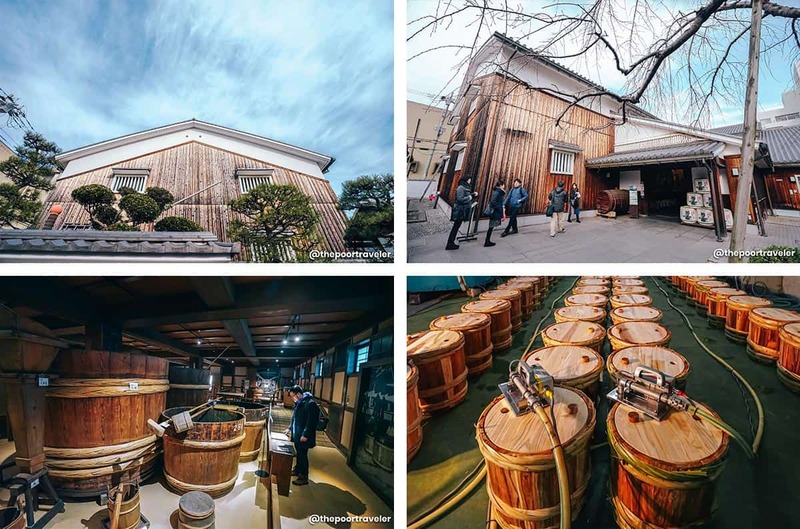 We were able to visit two breweries and museums in the area: Kikumasamune Sake Museum and Hakutsuru Sake Brewery Museum. Both can be visited FREE of charge. Both showcase the journey of rice from harvest to fermentation through various displays. 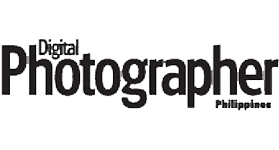 You can use your phone to capture a QR code and use it as guide as you explore. 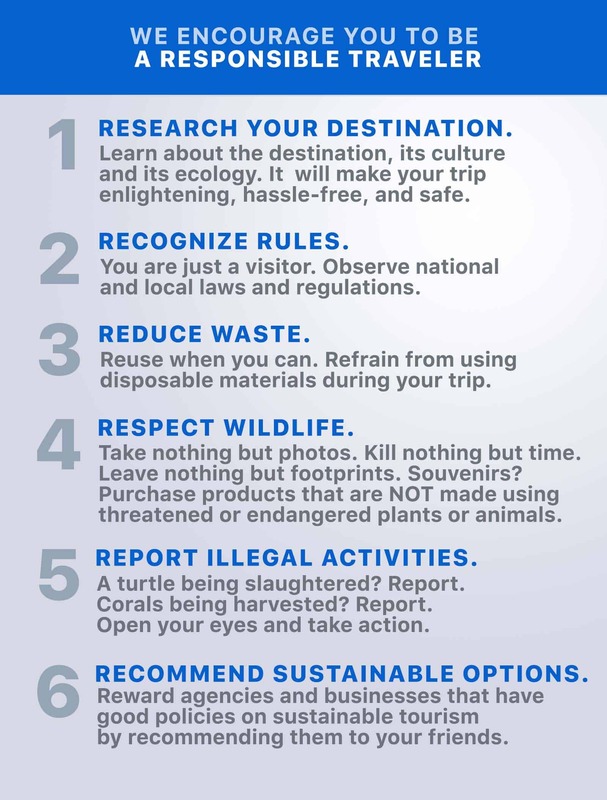 The guides are also available in multiple languages. Hakutsuru even has a Tagalog option! Both will also allow you to sample different types of sake after the tour. 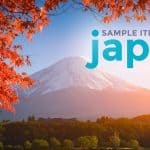 You can choose just one sake brewery for this itinerary.  Both are very good, presenting the whole process in a way that is easy to understand. 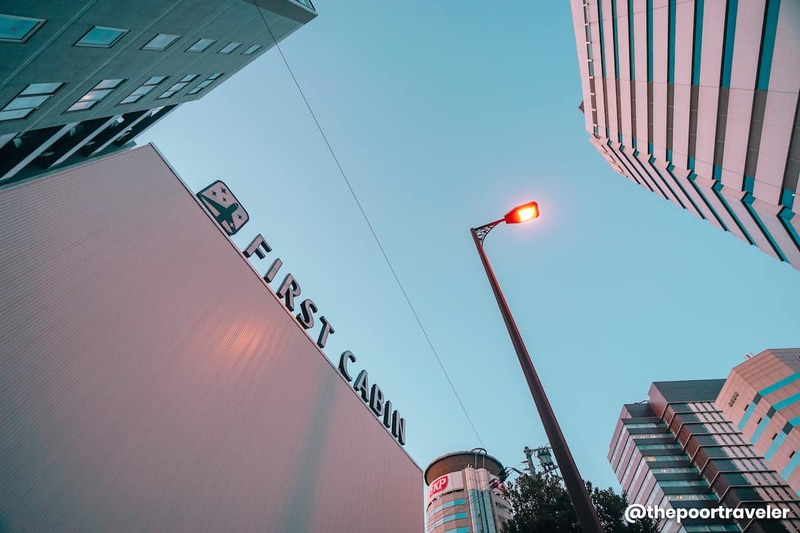 From either sake museum, trace your steps back to Uozaki Station and take the Hanshin Main Line again to Hanshin Mikage Station (HS25) using your Hanshin Tourist Pass. At Hanshin Mikage Station, take the Kobe City Bus 16 that will take you to Rokko Cable Shita Station. You’ll need to use the green stub of your pass and give it to the driver before you alight. Travel time: 15-30 minutes. Fare: ¥210 without the pass, FREE with the pass. 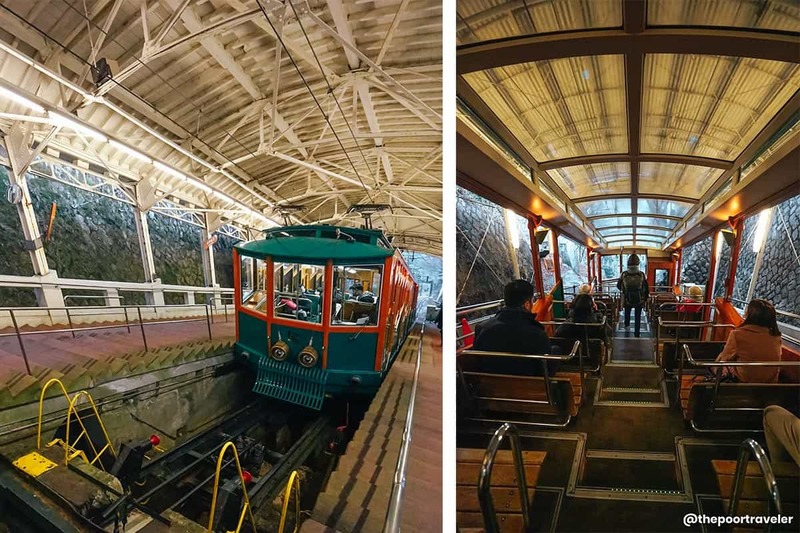 At the Rokko Cable Shita Station, take the Rokko Cable Car which will take you up to Rokko Cable Sanjo Station. You will need to show the blue ticket to the staff before boarding. Fare: ¥590 without the pass, FREE with the pass. Travel time: 10 minutes. Take the Rokko Sanjo Bus to Rokko Mountaintop Tourism Area. Don’t detach the red stub yet. You’ll do that after you make the return trip. Travel time: 9-13 minutes. Fare: ¥260 without the pass, FREE with the pass. Alight at Rokko Snow Park. That’s it! Rokko Snow Park is just one of the many attractions atop Mt. Rokko! 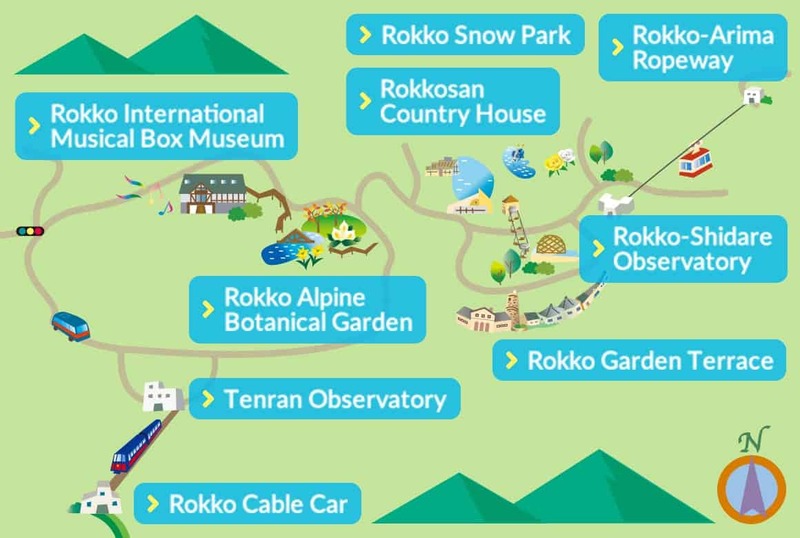 Others include Rokko Alpine Botanical Garden, Rokko International Musical Box, Museum, Rokko-Arima Ropeway, Rokko-Shidare Observatory and Tenran Observatory. We chose Rokko Snow Park because we were traveling in winter and Vins has never tried skiing before. It’s a great place to learn to ski because it’s not too big. It is also the closest snow park to Osaka. This isn’t my first time skiing. Although I am still not very good at it (!!!  ), I already know the basics and can confidently ski down a slope without problem. Vins is another story, though. He’s tall and a complete beginner, so it took him quite a while to get the hang of it. If you get hungry before or after your snow activity, drop by Restaurant Alpen Rose, which serves meals for as low as ¥750. 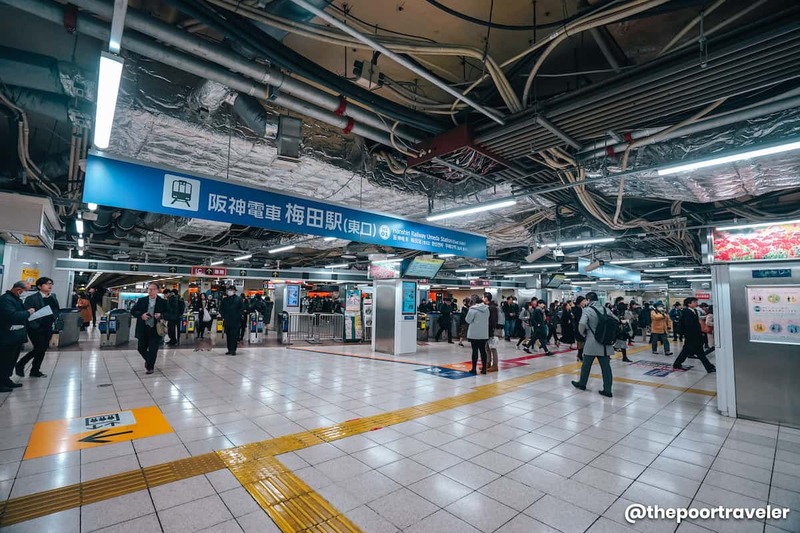 Once you think you’ve had enough, just trace your steps back to Hanshin Mikage Station and take the Hanshin Main Line Direct Express to Motomachi Station. From Motomachi Station, travel on foot to Kobe Harborland. Kobe Harborland is a seaside shopping and entertainment destination, peppered with several department stores including Umie. Umie is perhaps the most well-known of departments store in the district. Housing dozens of stores and restaurants, it is divided into three sections: North Mall, South Mall, and Mosaic. Of the three, Mosaic is the most scenic because it allows a fantastic view of the Meriken Park. If you can, wait until the evening and watch the harbor light up! 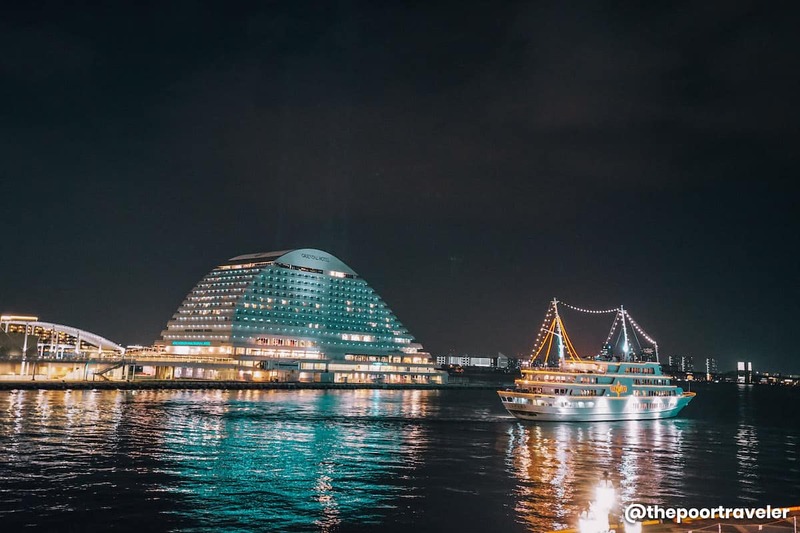 Its most iconic structures like the Kobe Maritime Museum and the Kobe Port Tower look so much better at night. DINNER TIME! 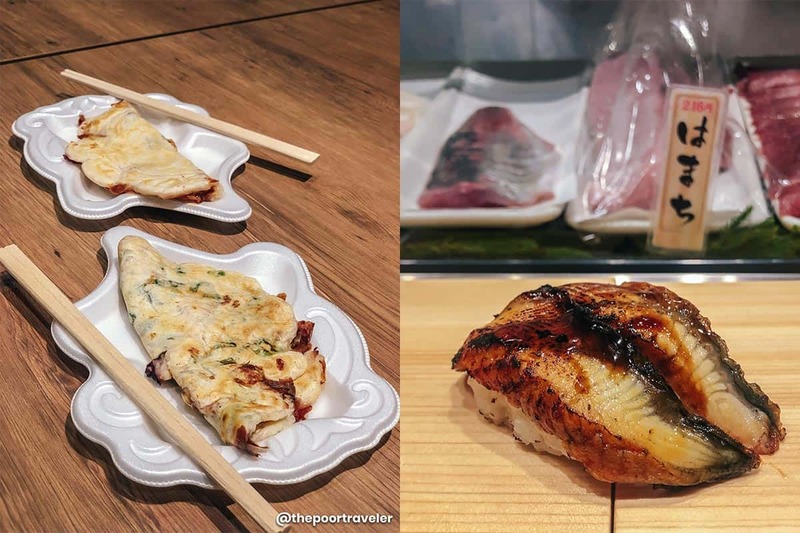 Since you’re already at Hanshin Umeda Station, which is just beside Hanshin Umeda Main Department Store, you might want to check out their newly reopened Snack Park. Hanshin Snack Park has been a popular stand-up food court even among locals. 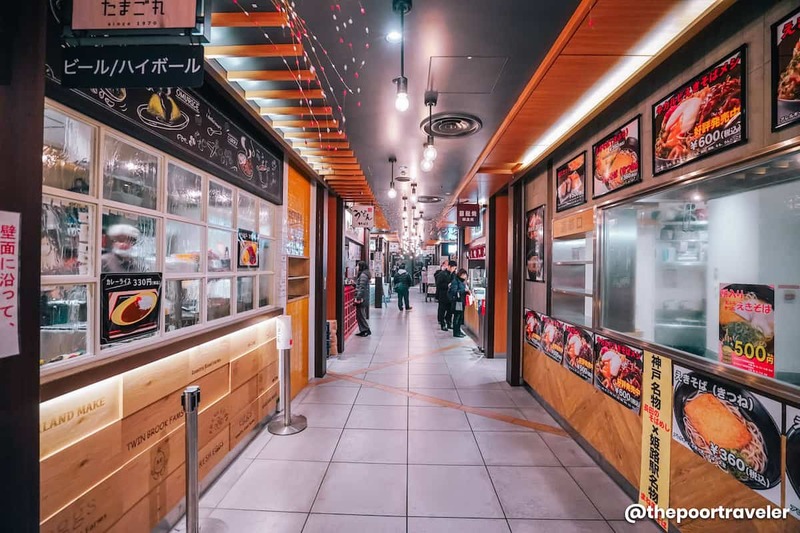 It’s composed of over a dozen food kiosks serving a wide variety of Japanese delights including takoyaki, sushi, and ramen. Established in 1957, it was recently renovated to improve the overall dining experience. Many of the original favorites are still here. Among the most popular is ikayaki, a crepe-like snack that is filled with bits of squid (¥152). You can also choose to have leeks and soy sauce added to it (¥162). We’ve tried both and they were delicious, especially given how cheap they are. I was expecting them to taste like takoyaki, but it was far from it. It’s like a slightly denser pancake but more savory than sweet. And the squid filling add a nice texture, something that made me keep on eating. 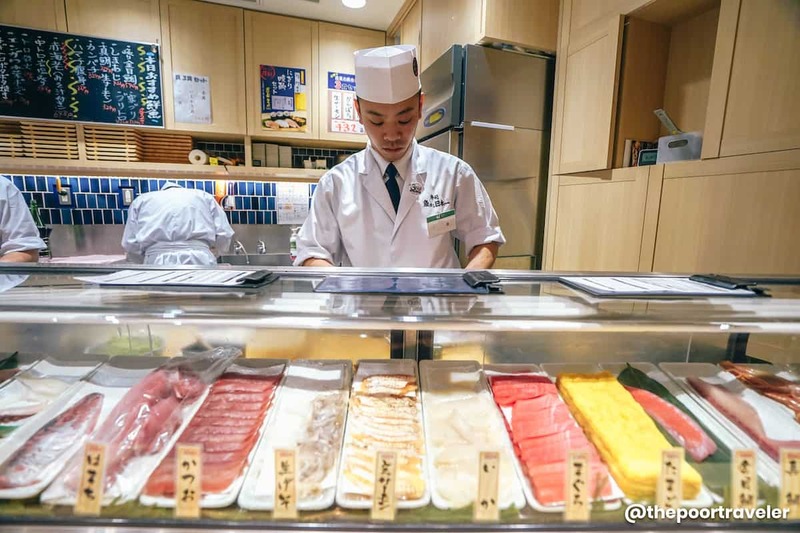 In one corner stands a sushi bar, which takes pride in their fresh seafood toppings including tuna, salmon, salmon roe, scallops, crab, and mackerel. The most expensive item on their menu is o-toro, choicest raw fatty tuna belly, and uni, sea urchin (¥432 a piece). Others range from ¥162 to ¥648 for 2 pieces. But the best thing we tried that night was the ramen served by the stall named Kadoya Shokudo. 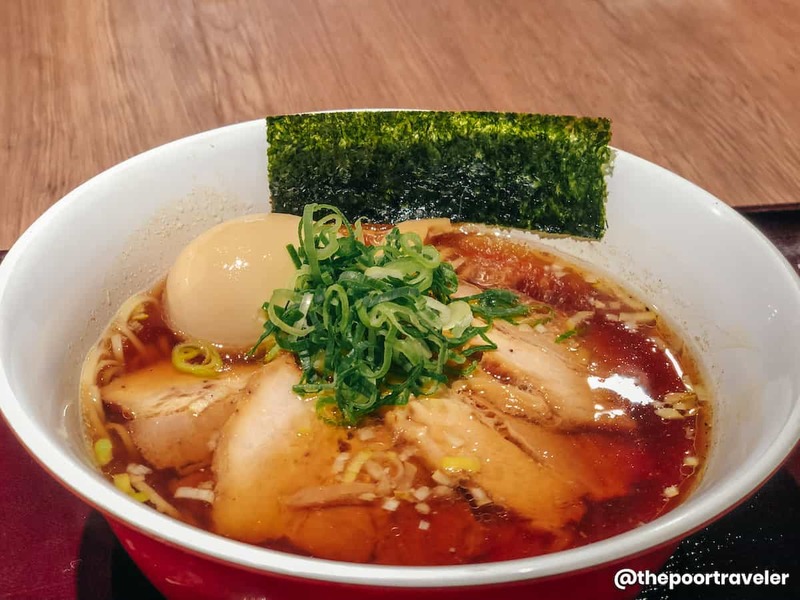 They serve traditional ramen, with shoyu broth and Chinese noodles. Although my palate favors rich, bold flavors, I was pleasantly surprised by its light broth, which had the perfect mix of saltiness and umami. The noodles were more on the thin, soft side. Just a few minutes from Hanshin Department Store is HEP FIVE, another mall bursting with shops that target mostly the younger market. 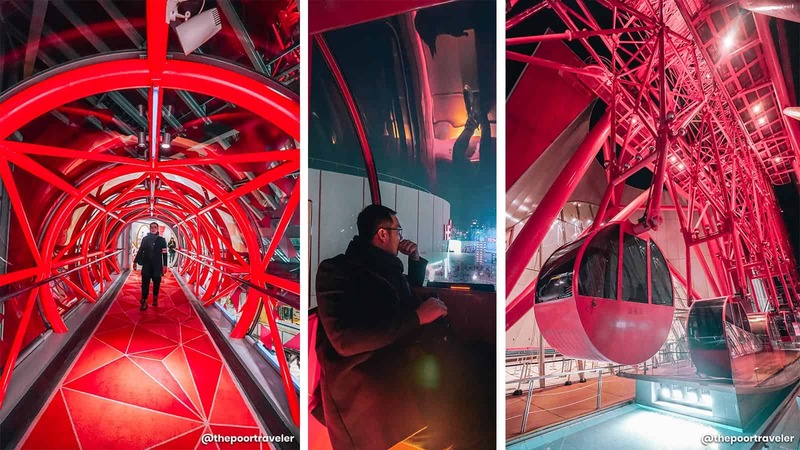 But it’s best known for its 106-meter bright red Ferris Wheel that allow a wonderful view of Umeda and the greater Osaka area especially at night! You can also see Osaka Harbor from here. Here’s a brief summary of the above itinerary. I’m not indicating the exact time to give you some wiggle room in case you want to stay longer at a stop. I also included a budget breakdown. Note that this assumes you have a Hanshin Tourist Pass and a Rokkosan Tourist Pass! Transit: Take Hanshin Main Line from Hanshin Umeda Station to Uozaki Station. Transit: Take Hanshin Main Line from Uozaki Station to Hanshin Mikage Station. FREE. Transit: Take Kobe City Bus 16 from Hanshin Mikage Station to Rokko Cable Shita Station. FREE. Transit: Take Rokko Cable Car to Rokko Cable Sanjo Station. FREE. Transit: Take Rokko Sanjo Bus to Rokko Snow Park. FREE. Transit: Take Rokko Sanjo Bus to Rokko Cable Sanjo Station. FREE. Transit: Take Rokko Cable Car to Rokko Cable Shita Station. FREE. Transit: Take Kobe City Bus 16 to Hanshin Mikage Station. FREE. Transit: Take Hanshin Main Line to Motomachi Station. FREE. Transit: Take Hanshin Main Line to Hanshin Umeda Station. FREE. Dinner: Hanshin Department Store Snack Park. Budget: ¥1500. Enjoy: HEP FIVE Ferris Wheel. Admission Fee: ¥600. 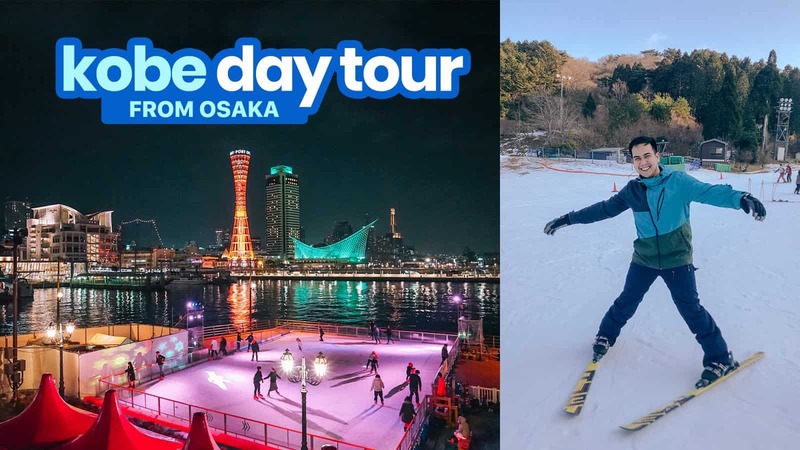 If you’re skiing at Rokko Snow Park for a few hours, the above itinerary will cost you around ¥14,000 (PH6715, USD128, SGD173) per person, excluding airfare, accommodations, visa fees, travel taxes, and shopping budget. Note that the bulk of this budget goes to ski rental. 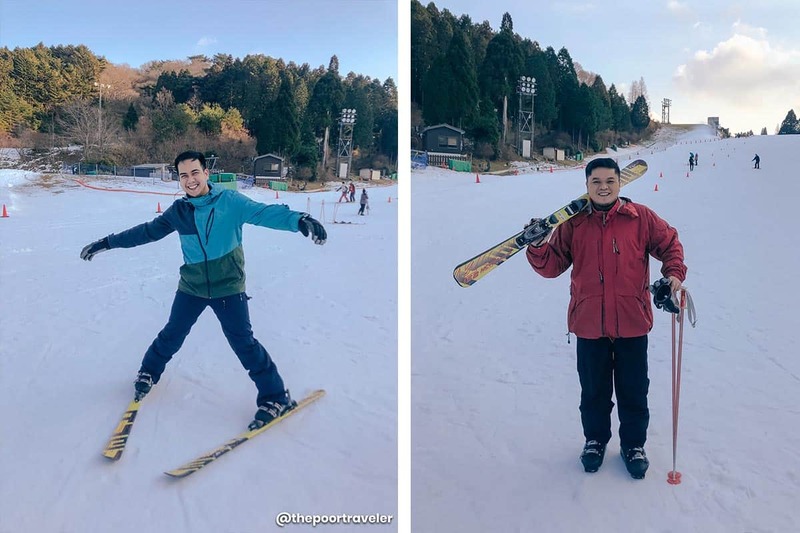 If you’re visiting Rokko Snow Park just for sightseeing or you just want to play with the sled, the above itinerary will set you back around ¥8000 (PHP3835, USD73, SGD99) per person, excluding airfare, accommodations, visa fees, travel taxes, and shopping budget. 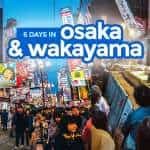 Notice that you only spent ¥1500 (¥1700 outside promo period) on transportation. That’s ¥1000 on Rokkosan Tourist Pass and ¥500 (¥700 outside promo period) on Hanshin Tourist Pass. If you don’t have these two passes, you will be spending a total of ¥3050 on transportation. But if you have the passes, you’ll be racking up a total of ¥1550 in savings! The above itinerary assumes you’re staying near Umeda or any Hanshin Main Line Station. 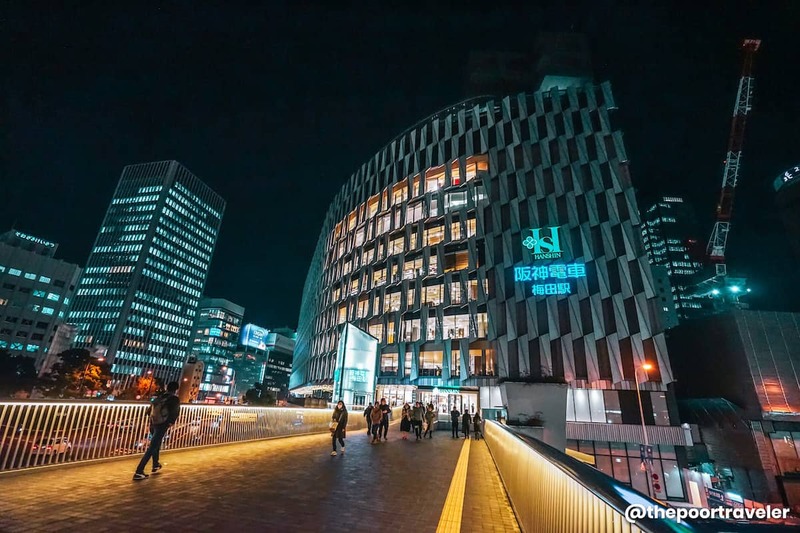 The area surrounding Umeda Station is an ideal place to stay in Osaka because of the sheer number of attractions and dining places. 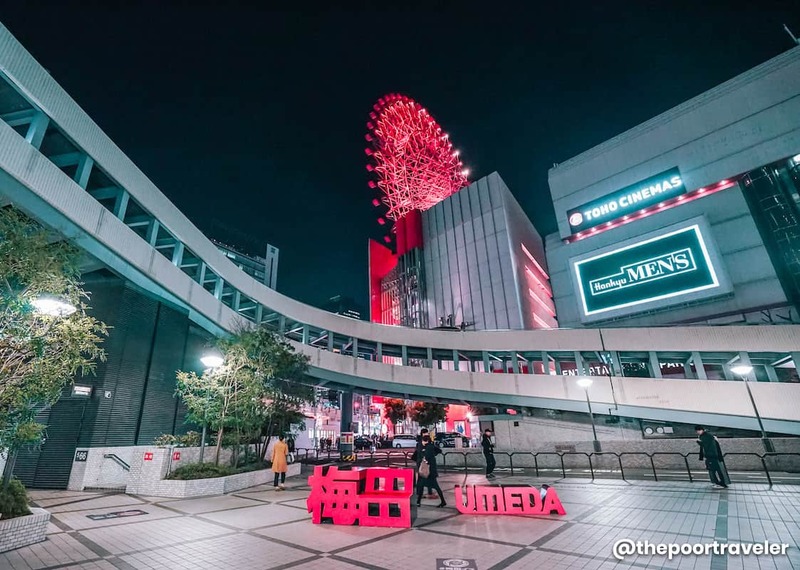 Umeda is home to some of the city’s most recognizable attractions including the HEP FIVE Ferris Wheel and Umeda Sky Building. 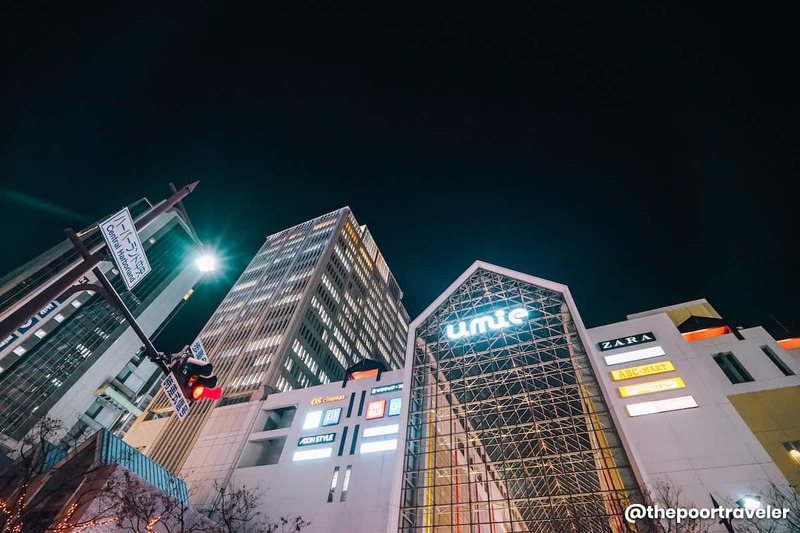 Just one station away from Umeda Station is Fukushima Station which is also surrounded by lots of accommodation choices. The area is also littered with restaurants especially ramen bars and yakiniku that are favorites among locals. It is also within walking distance of Osaka Station. Fukushima Station is part of the Hanshin Main Line, which means it is also covered by the Hanshin Tourist Pass. Here are two properties you might want to consider. Both properties are also very accessible from Kansai Airport. 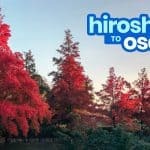 You can take a Hanshin Limousine Bus to Osaka Station (Herbis Osaka) and just walk a little bit from the bus stop. 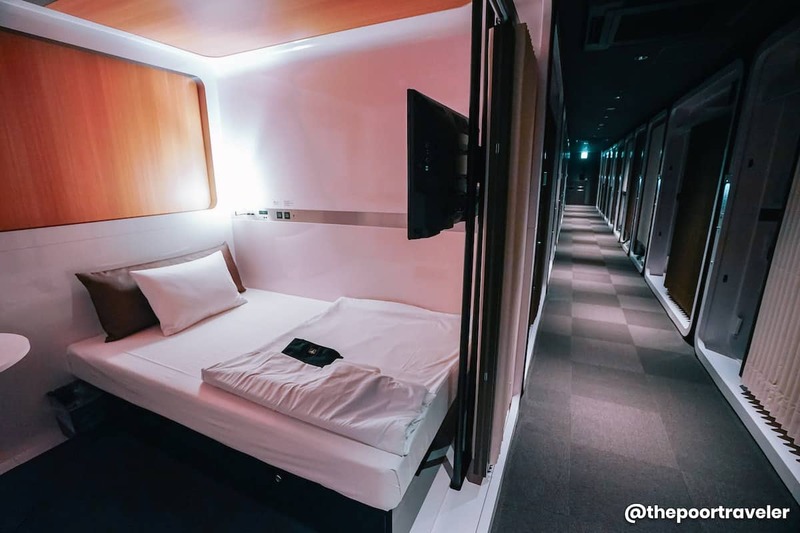 First Cabin is a popular chain of capsule hotels. 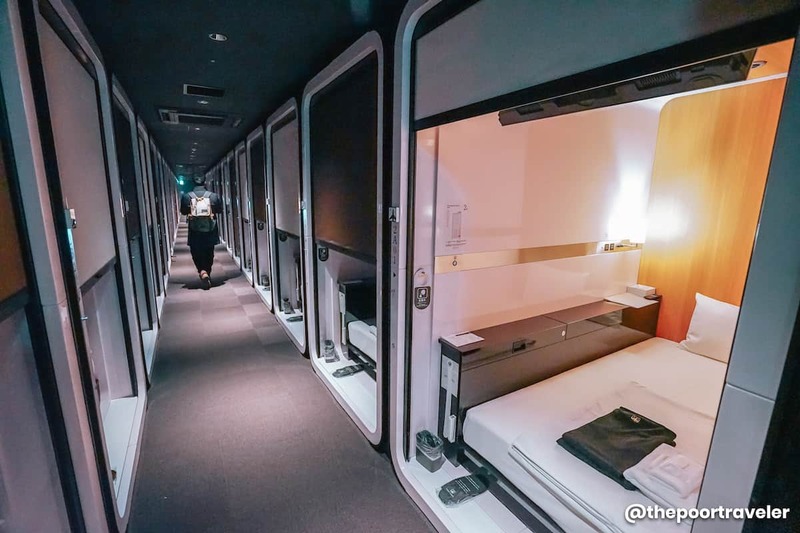 At its core, it is a capsule hotel but is done in a more sophisticated fashion. The interiors are stylish, slick, and impeccably neat. It is designed in a way that mimics a luxury aircraft, with business-class and first-class capsules. An overnight stay costs ¥4000 to ¥6000, depending on the season. You can also stay for only a few hours if that’s all you need. We were able to check out their Hanshin Nishiumeda branch located close to Osaka Station and Fukushima Station. Here are some of the photos we took during our stay. 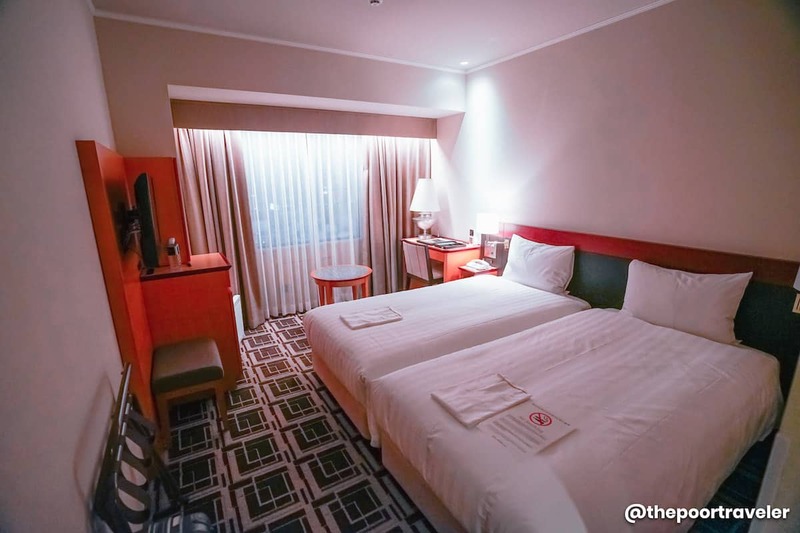 If you have a bigger budget, Hotel Hanshin Osaka is also an option. It takes pride in having natural hot spring in each room, ensuring that you have a relaxing time during your stay. They also have spa facilities if you want to level up your unwinding. 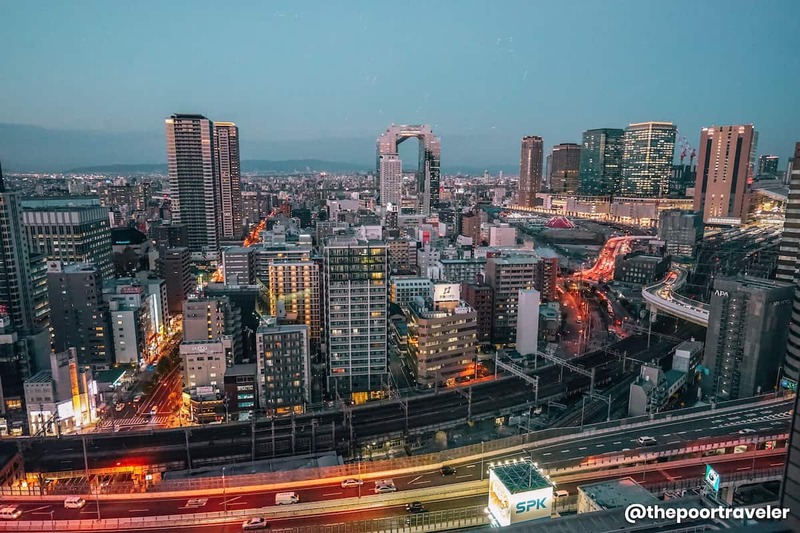 The best part, you have an awesome view of the city, with the Umeda Sky Building taking center stage. Here are some photos! This post is brought to you by Hankyu Hanshin Holdings, Inc.
Hi! Very informative post as usual! I’m going to Japan this April, and will be staying in Kobe, Hyogo. 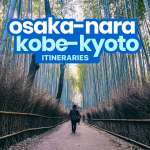 My itinerary includes trips to Osaka, Kyoto and Nara. Will be there for almost 9 days (I arrive at KIX at night). What pass do you suggest? TIA! Will you touring every single day of those nine days? 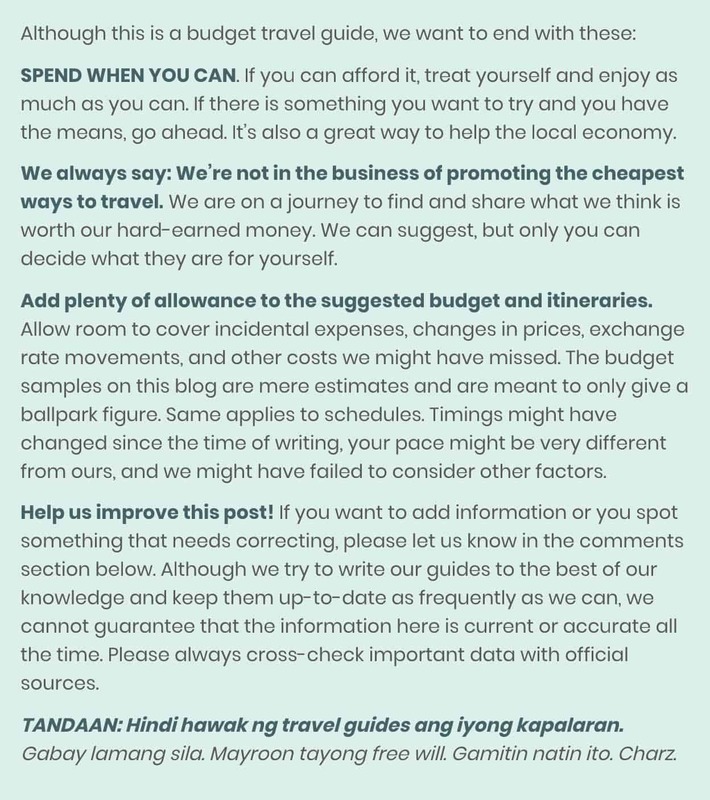 Kasi baka you don’t need a single pass for the entire trip but instead do it one day at a time. This way, if you decide na mag-rest day, di ka mape-pressure. For Himeji, Himeji Tourist Pass.